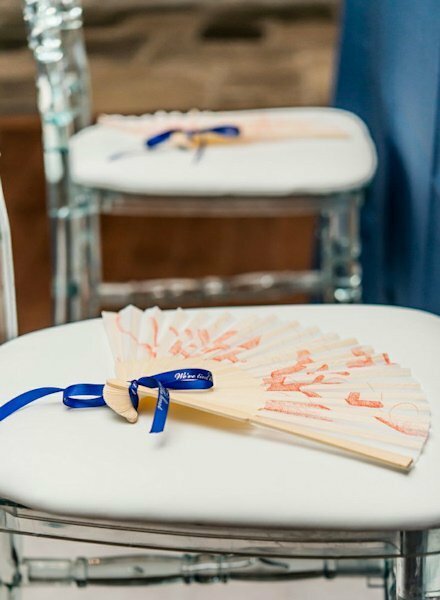 Our most popular beach wedding fans! 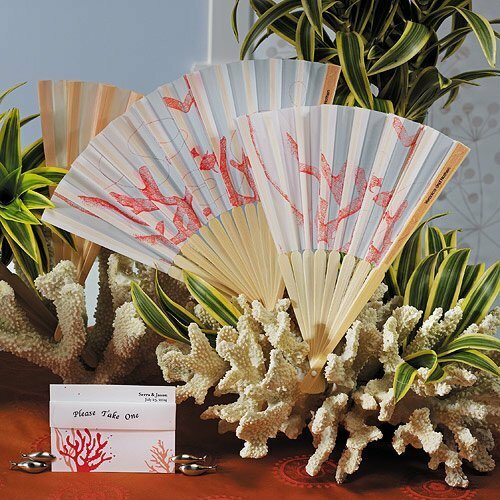 Complement your beach wedding with our beautifully designed Coral Reef Bamboo Hand Held Fan Favors. 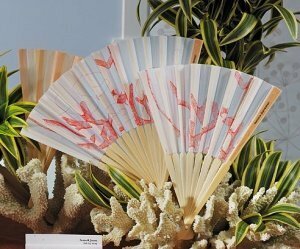 Constructed of natural fibers and bamboo ribs, these unique hand held fans for weddings feature a detailed seascape beach coral design. Great for outdoor weddings where the weather can get warm. Fans are sold in sets of 6. 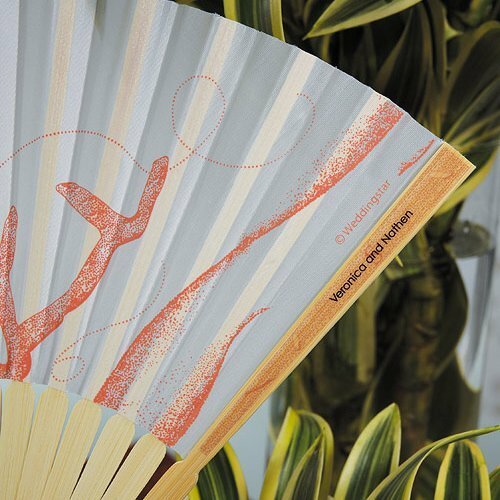 Customize them by adding the matching personalized fan sticker (sold separately - item 1070-22).